Have you ordered pizza from Dominos recently? If you have, it’s unlikely that you called the nearby store on the phone to place your order. More than 60 percent of Dominos’ orders are placed digitally, which includes practically every digital platform imaginable. Once you have an account established with Dominos, you can place an order through their mobile app, Facebook Messenger, Amazon’s Alexa and even Ford vehicles with Sync technology — just to name a few. Perhaps as impressive as their mission to leave no device without the ability to order pizza is how, no matter what platform is used, the experience is consistent and on brand. Retailers should be taking notes. In today’s shopping environment, 90 percent of customers expect consistent brand interactions across channels and yet 55 percent of companies have no cross-channel strategy in place. With more ways to shop than ever before, the challenge continues to grow as the devices in our lives change and multiply. Each marketing channel has its own set of advantages and disadvantages when planning a retail marketing strategy. Our challenges as marketers is to blend these multiple marketing channels together so the whole experience is greater than the sum of its parts and invisible to the consumer. This extends beyond the traditional marketing channels into customer support and supply chain management as well. When carefully and strategically added together, these multiple customer touchpoints create a true omnichannel retail experience that adds long-term value. Jamie sees a promotion on social media from a sporting goods store for 20 percent off a certain brand of running shoes. Unfortunately, the blue color she wants is sold out online. Through the website, she is able to see that the blue shoes she wants are in stock at her local mall store. Great! She drives to the brick-and-mortar store, and at checkout, she mentions the 20 percent off coupon she saw on social media. The store clerk quickly looks up the promotional offer and applies the discount in-store. 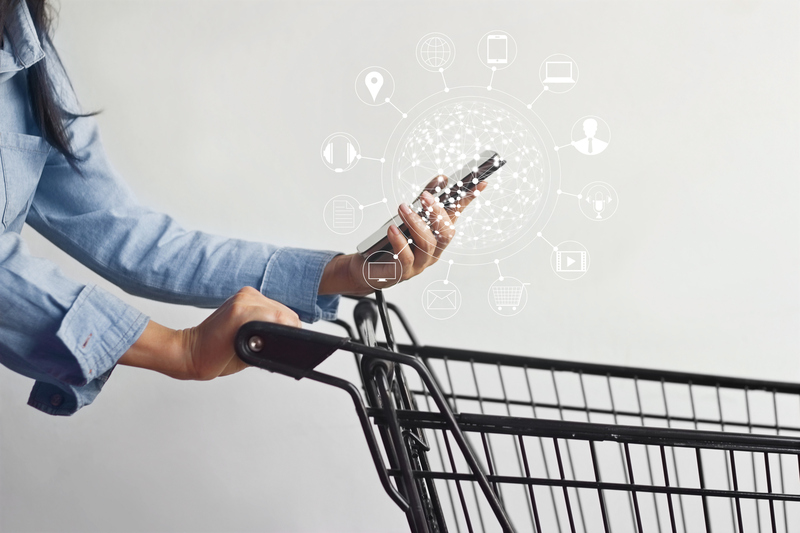 End-to-end data integration from the supply chain into the shopping experience is a key part of creating an omnichannel experience. If we look back at the example situation, we can see where data leads the buyer into each phase of the purchase path. The social media promotion data transfers to the website upon the click-through. When the blue color is sold out, the inventory data is integrated into the website to show brick-and-mortar supply online. And finally, when the shopper mentions the promotion to the clerk, he is able to easily look up the offer and apply it in-store. The value of creating an omnichannel retail experience goes beyond the one-time sale. According to a survey conducted by Aspect Software, businesses that adopt omnichannel strategies achieve 91 percent greater year-over-year customer retention rates compared to businesses that do not. A unified brand experience across marketing channels is quickly becoming an expectation of the modern consumer. Their loyalty depends on it. If your enterprise is in need of an omnichannel solution, schedule a free demo of Korbyt to see how our platform can integrate data across social media, digital signage, supply chain and more.